The Federal Aviation Administration says a Searey aircraft crashed in the river between Haverhill, New Hampshire, and Newbury, Vermont, at 1:20 p.m. Sunday. A small plane has crashed in the Connecticut River between New Hampshire and Vermont, injuring two people. New Hampshire State Police responded to the aircraft crash at approximately 12:36 p.m. Sunday. 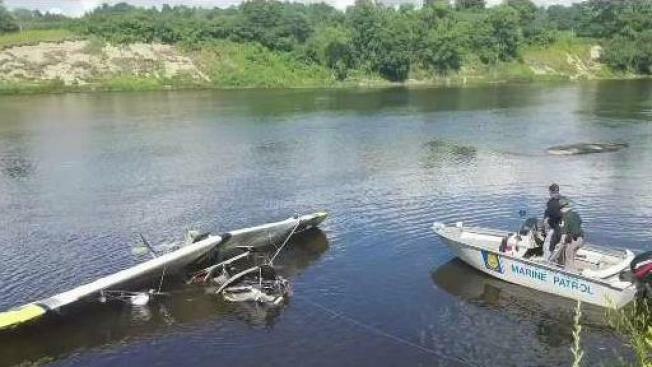 The small amphibious experimental aircraft was attempting to land in the river between Haverhill, New Hampshire, and Newbury, Vermont, when it crashed, police say. The pilot and a passenger on board the aircraft were taken to hospitals, one by helicopter, according to state police. One person is in stable condition with serious injuries at Dartmouth-Hitchcock Medical Center. The condition of the other person, who's in a hospital in Woodsville, wasn't immediately available.